The basic Law Of Supply And Demand states that when demand is high and supply is low that prices will be high and when supply is high and demand is low that prices will be low. The point where the two intersect and there is a balance of both supply and demand is equilibrium. Equilibrium is in a constant state of fluctuation as supply and demand is constantly shifting. However when supply and demand remain relatively constant price ranges remain closest to an equilibrium point. The range in which this occurs is commonly defined as value. 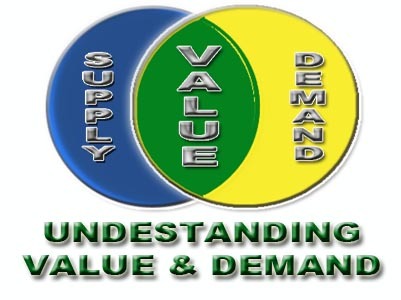 While in theory the Law Of Supply And Demand is true the principle itself does not explain what are the driving market forces of demand. Understanding these driving forces will help the responsible breeder not only effectively match their stock to the demand of the community but will also help them in maximizing the return on their breeding efforts and get the greatest value for their subsequent offspring. In breeding, unlike most products or services, for most breeds there are a number of factors that help create market demand and thus create added value. Since most responsible breeders breed a specific breed out of passion vs. profit this criteria tends to be the least flexible in terms of change. When reading about breeding you will often encounter discussions by extremists that will say such things, as one should never breed for color or pattern and just function. While this may have been true in the past where pets were often bred for a particular working purpose in today's society this concept is not only out dated but out of touch with reality. Breeding simply for a specific function ignores the fact that the function of most pets today is simply to be pets and thus any responsible breeding meets this cause. Given this fact it is important to realize that the vast majority of people who choose non-homogenized (same look) breeds that beyond the breed itself the greatest factor influencing their decision is in fact color and patterns. It would be irresponsible of a breeder to intentionally breed a high percentage of a specific color with -disregard to the color - simply for their "perception" of an intended function. This is especially true when it is impossible to test for functionality until later into maturity, which is also when the pup has lost its initial "puppy value". Breeding for a "perception" of function alone creates an over-supply, drives down value and depresses the value of a breed across the board. 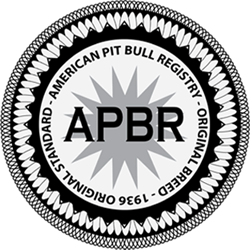 When a new prospect owner is interested in a new purebred pet one of the first questions they will often ask is if it is registered. For most buyers registration is enough, as they are looking more for a conformation of accepted purity. A minority of others however may be brand loyalists to a particular registry. If this is the case then their particular supply pool is diminished and thus they may be more willing to pay a higher premium. As a responsible breeder it is important to decide if you are willing to narrow your market to those prospect owners who are brand loyalists and if the services the brand registry provides are or are not as important as the brand itself. When most prospect owners look for a new pet they already have in mind if they want a male or female. While this too is a factor where ther is little control by the breeder a seasoned or informed breeder may be able to breed for a more skewed result one way or the other based on past performance of particular breeding parents. The male parent determines the percentage of male probable sperm while the female's hormone levels control susceptibility of fertilization. History is the only way of making an informed review. Many breeders do not realize just how much the efforts they put into marketing their offspring effects the value and hold times of their offspring. Many learn this lesson once they are too far down the road to truly maximize on their breeding efforts. In today's world, where internet has virtually killed the local pet classifieds, breeders who have not prepared often find themselves scrambling looking for ways of getting the message out about their offspring. This leaves the un-prepared breeder frustrated with the fragmented internet as a marketing option and deflated by the amount of extra time they have to hold onto their offspring to find them good homes. This often leads to desperation, which then leads to less screening of potential buyers, decreased quality homes and lower negotiated pricing. It is up to the responsible breeder to realize their marketing efforts effect sales and value up front in the breeding process and to prepare on the front end and be active with follow-through until all offspring have found good homes. Demand is often affected on the local level by its own unique conditions. For example brindle may be in high supply in one area while virtually non-existent in another. Understanding local conditions of supply and demand is important for the responsible breeder as this will help them better cater their efforts to the demand of the local community. By meeting and matching demand this insures that a breeder is part of a solution of demand vs. part of a problem of over-population and depressed value. While a pedigree is not really that important to most prospect pet buyers it does have a high value to some. For most buyers their purposes of ownership will often determine how important a pedigree really is. For those looking to simply have a pet then a pedigree may be of little importance. For others who are looking at specializing in a specific lineage for future breeding purposes a pedigree is often critical. 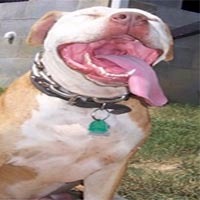 For example those wishing to insure the legacy of Merle in Pit Bulls is continued and historically documented a pedigree is very important. For others however that simply want a red red nose then simply being a red red nose may be enough without need for a pedigree at all. While a pedigree may have varying value to a buyer what it does often show that is important to many buyers is the level of inbreeding. This is important to many, as inbreeding has been scientifically linked to numerous genetic illnesses. An informed buyer will often take inbreeding into consideration when looking for a pet as they will want to see a pedigree that includes a low inbreeding ratio. This will help assure them that their pet will have less genetic risk (and cost them less in long-term health care) as it ages. For some titles are important. The truth is however that only about 1% of canine pets ever go on to be show dogs. This means that "show pets" as breeding stock and especially those that are titled in some manner are far fewer in number and thus finding offspring from such show pets may be difficult and expensive in relation to a breed in general. Also a significant drawback of pets that are bred in such a way, due to the inherent nature of many of those who participate in such events, is that such offspring often are highly inbred and suffer from a significantly higher level of genetic illness. These increased rates of genetic illness thus often require much higher medical care costs throughout their life. When a person is interested in a pet they should ask themselves if it is important to be for "show" and if so do they really have the time and financial means to devote to such activities and health and upkeep maintenance. If the answer is NO then it is a waste of money and potential emotional investment to make this a sole criteria for choosing one pet over another. While these are the basics of understanding demand and value in breeding this is merely a touch on the topic. Responsible breeding in its entirety can literally take up an entire book. 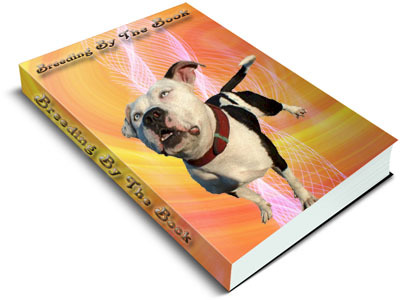 This is why we offer the official "Breeding By The Book", as a comprehensive MUST HAVE resource to breeders and prospect breeders. 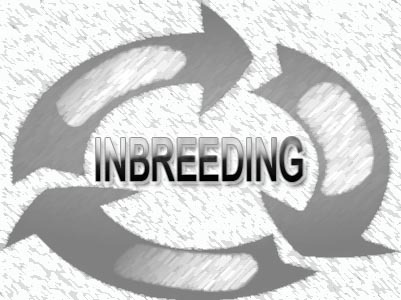 Through this resource one will learn everything necessary in running a successful and responsible breeding program. For as little as a bag of puppy food you can learn how to produce high quality, high demand offspring in the most responsible and ethical manner while at the same time maximizing your efforts and positive outcomes.